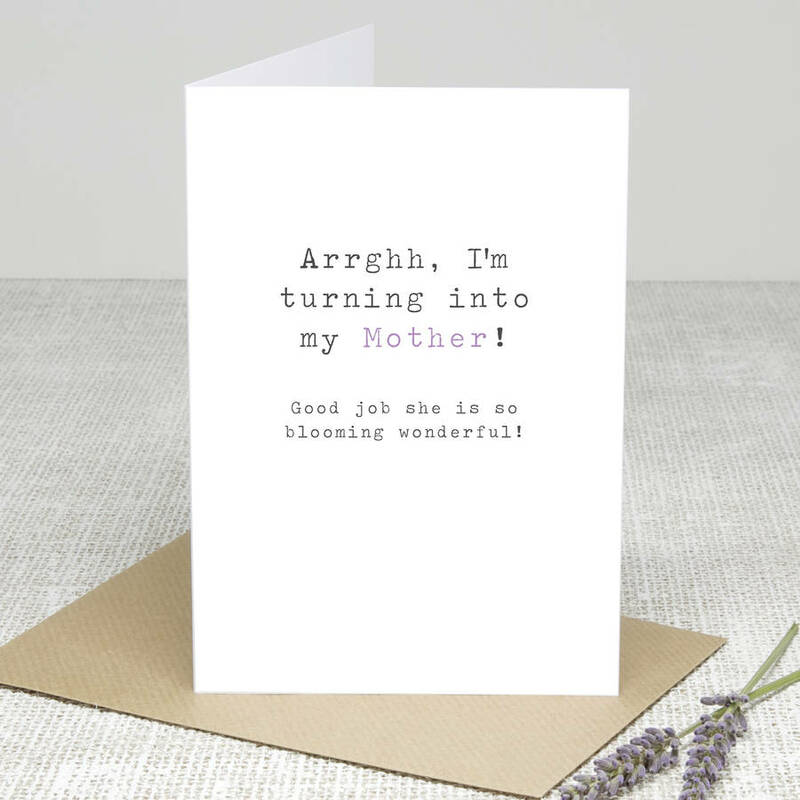 Our greetings card 'Arrghh Mother' is the perfect way to tease your Mum but still tell her how wonderful she is. Ladies, we all know it's going to happen, we turn into our Mums, let them know that you think it's a good thing! This card reads: 'Arrghh I'm turning into my Mother' as the main message, with 'Good job she is so blooming wonderful!' in little letters below. Like lots of our cards it is lovely and sentimental but with a funny side! We use matt bright white 300gsm card and supply the card with a ribbed brown envelope. The card and envelope are packaged in a clear poly bag to keep them safe and clean.